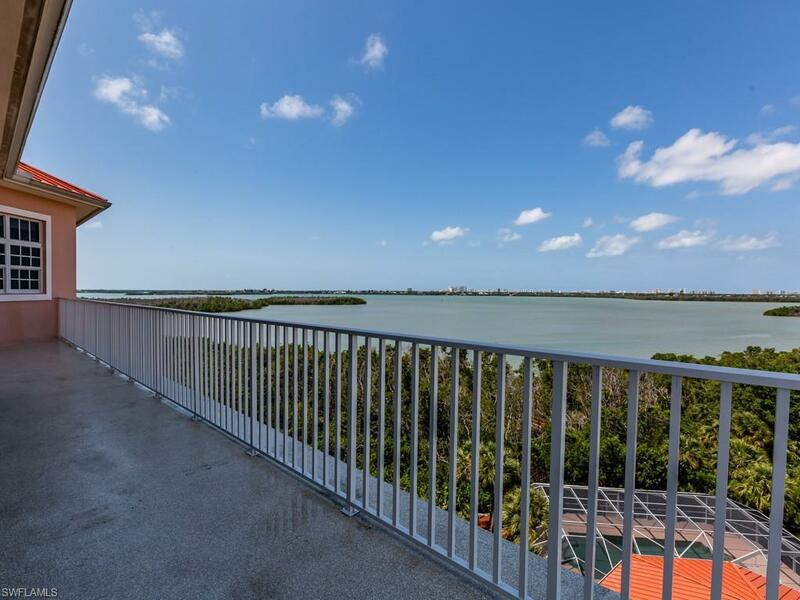 C.16112 The tranquil beauty of Barfield Bay and the Marco Island skyline and magnificent sunset views year-round are yours with this spacious and well-appointed penthouse end-unit. Offering over 2700 sq. ft under air, 2 spacious screened lanais, 2 balconies, sun deck and the ease of condo living, every main room has easy access to the outdoors. 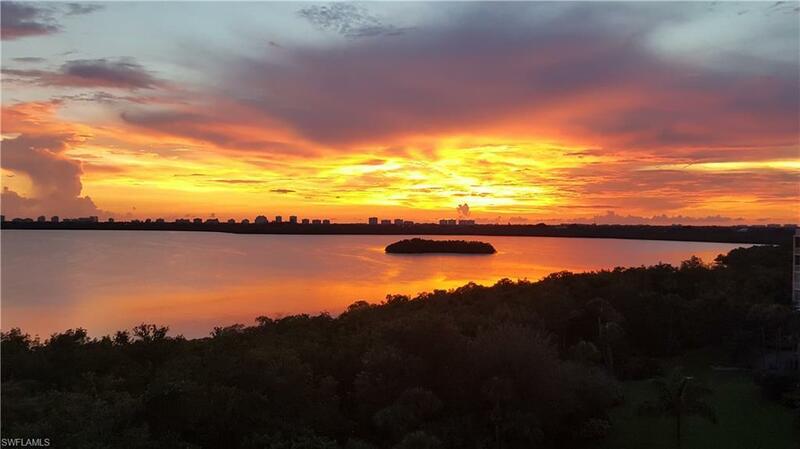 This beautiful condo lives like a home with its impressive great room with soaring ceilings, spacious formal dining for entertaining, an expansive chef's kitchen that includes a morning room with breathtaking views. 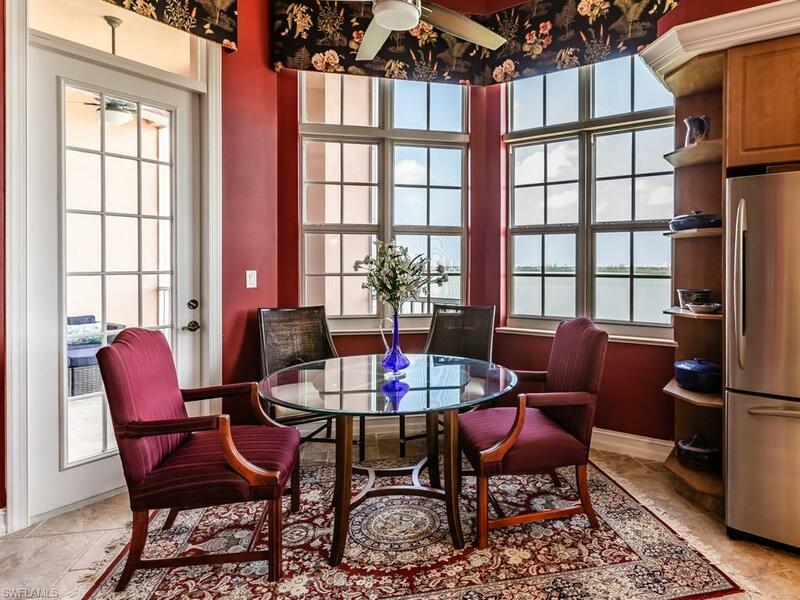 Huge master suite includes a sitting area, access to the covered lanai and has a walk-in closet that will impress. Master bathroom was updated in 2015 and enhances the master retreat with the walk-in shower, jetted tub and double vanity. Second master suite is 18 X 15 and includes its own private lanai to take in the breathtaking views. Storage is no problem with generous cabinetry and spacious walk-in closets in all three bedrooms. 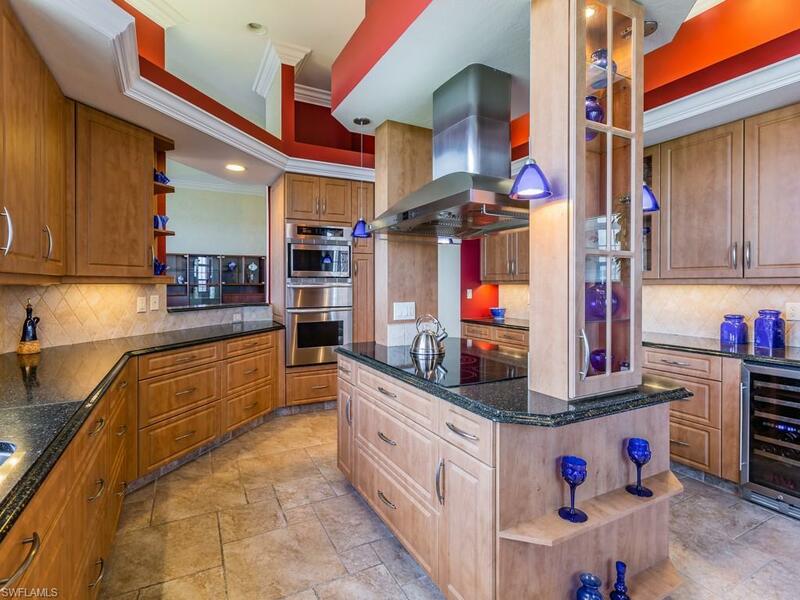 Tile throughout, crown molding, large laundry room completes this home. This home has never been rented and lovingly cared for by the original owner.